This presentation starts from a perennial challenge in course design for advanced-level students. The challenge is: what do we give them as ‘finely tuned’ input’, i.e. language features or items hand-picked by us as optimal for them to learn? For that purpose, we often pull words rather randomly out of their reading texts and compile those words into a list to be learned, or else we create grammar lessons that focus on more and more esoteric points. Neither of those solutions is very satisfactory. I am now planning an alternative approach: devoting one class hour each week to teaching “word families”. One theoretical objection to this approach concerns the absence of a broader communicative context. 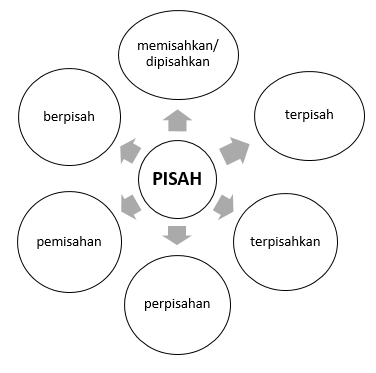 After all, what is a single, real life situation where all those ‘pisah’ words might occur together? (a) Learning a set of words such as “nation/ national/ nationality/ nationalise/ nationalism” is cognitively much easier than learning a set of words that are linguistically unrelated, regardless of whether those words are linked by topic (e.g. ‘words to do with law and courts’). (b) The approach allows us to steadily teach grammar at the same time, i.e. reinforce and expand students’ knowledge of the system of affixes used to create new words. In the session I will present a core sequence of activities for teaching a word family, and show how that sequence would form the basis for a full lesson on word families for advanced students. Tim Hassall first learned Indonesian as a passionate hobby for some years, by private study, and then at a relatively advanced age studied the language formally as well. He was delighted to have the chance to switch careers from teaching English as a Second Language to teaching Indonesian when he moved to Canberra to do his PhD research in linguistics, and started to teach Indonesian part-time at ANU. Since 1999 he has taught Indonesian full-time at ANU. Tim’s main research interest is how students learn pragmatics (i.e. politeness/ appropriateness) in their second language. He has published a number of journal articles and book chapters on the learning of pragmatics of Indonesian by Australian students. As for language teaching, Tim’s special interest is the teaching of grammar. He has created many grammar units with practice exercises, which are available on the BahasaKita website and are widely used by secondary and tertiary teachers.